Romani chib, neo-Indian ancient language spoken by the Roma/Gypsies, banned in Spain since 1663, but currently used in most of the Roma community in Europe and America, will dress with words the immortal work of Miguel de Cervantes, so it can be read in the universal language of fourteen million speakers, who will be incorporated to the body of readers who already enjoy -many of them for centuries- the best book in Spanish literature. 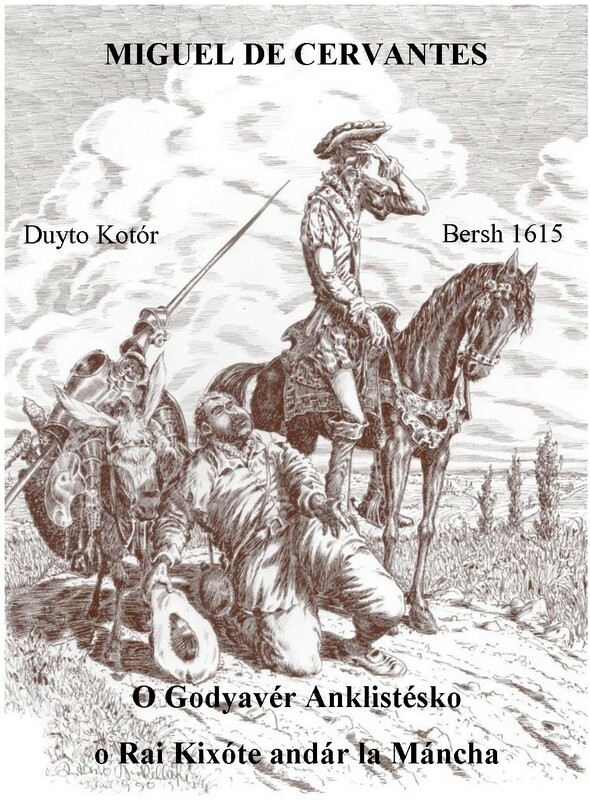 To commemorate the IV Centenary of Cervantes' Death, the association announces the preparation of a monumental edition in Romani, digitalized and on paper, illustrated with lithographs and drawings by Austrian painter Anton Winkelhöfer. The edition will consist of two volumes and will be published on digital version and on paper (rigorously numbered in order of the applications received in the hardcover edition). Universal character, Don Quixote –the most idle of vagabonds, delivered to life from the literature, after the first four centuries of his provisional perennity–, has been forged by the whole humanity, and now, his wanderings will be re-shaped by the contemporary Roma community along all the paths travelled by the chib romaní (the Romani language) and the pindré romèsquere (Romani’s feet), to those that he will accompany in their own language to help needy and helpless in their vital spontaneity, in their free and wide life, and to all the supporters of his feats (“hazañas”): a people without a state and borders; a people without land but of all the earth, empathic, non-violent and creative, which has not found yet the place that they need and deserve in mainstream society, in equality, freedom and dignity. Finally, the value of Romani language will be recognized and protected by the popular wisdom –so often gathered and widespread in Don Quixote–, as an unavoidable part of the pan-European and universal linguistic heritage. When facing this unique initiative, Asociación Nacional Presencia Gitana contributes to the denied historical reparation of a people whose language is their true homeland, being a transnational community on a multi-state basis of native Europeans (Günter Grass, Nobel, who was a member of the Advisory Council of Presencia Gitana, dixit). Presencia Gitana Publishing House has a translator team. The work will be reviewed, edited and well-cared by the Study Team of the Association. On January 3, 1979, our association denounced, from the opinion section of El País newspaper, the unprecedented absence of reference and the lack of recognition of the Romani language in the recently published Spanish Constitution (BOE of 29 December 1978), as the fifth language of the Spanish people. A language which was in need of recognition and protection by law as a minority language, and was discriminated in Spain and in all European countries, despite being ancient and transnational. We also pointed out the lack of political, educational and cultural will of the authorities in its rescue, which would have caused its desired enriching coexistence with the rest of the languages of Spain. Previously, in July 1978, the VII International Congress for the Defence of Endangered Languages and Cultures, held in Barcelona, had urged the Spanish Government – following the recommendations presented to the Congress by the representative of our association, specially invited to the event– the co-official recognition of the languages spoken throughout the State “based solely on grounds of territoriality of language, that is, according to the linguistic domain, with the exception of Roma citizens, who, not having specific territory, shall be governed by the individual right which includes the teaching of the Romani language”. Beautiful unanimity, which opened the door to the historical reparation, that finally was only good intentions, because neither the Transition Government nor the Constituent Assembly took the recommendations into consideration. We still await this restitution that, in strict justice, Spain owes to the Romani people, because almost four decades have passed and nothing has moved, or has deeply moved. The Association never gave up and continued circling the shortcut, until we have finally found a way to make this beautiful and necessary adventure successful, for the historical reparation and to dignify the Romani-speaking community, in the phonetic and multi-dialectal diversity of its expressions throughout the world, wherever their carriers are (fourteen millions of Roma). 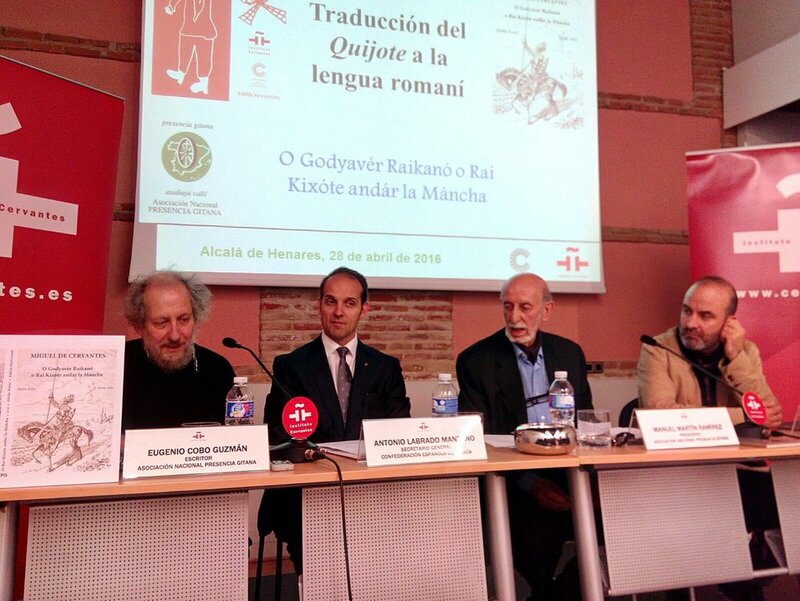 But just when we are on the eve of commemorating the IV Centenary of Cervantes' Death, fortune has favoured that Cervantes Institute hosts the launch of the stubborn and never abandoned Project of Translation of Don Quixote that our organization promotes. 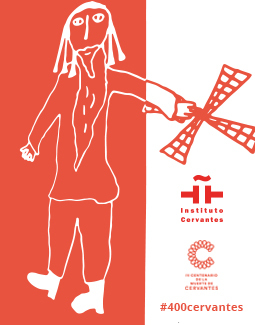 The Cervantes Institute has also provided support and hospitality to the presentation of our initiative. The Project of Translation and Publication of Don Quixote to the Romani language is financed through micro-patronage or crowdfunding. The amounts collected will be entirely allocated to the translation and adaptation of Don Quixote to the Romani language, as well as the layout, editing, printing and coordination of the work. The edition will consist of two volumes. In the concept of the payment or transfer, you should indicate your name or, if applicable, the name of your organization, next to the sentence: “O Rai Kixóte”. Once your payment is made, you must send an email with your name and surname to: presenciagitana@presenciagitana.org in order to manage your compensation and keep you updated on the progress of the project. In case that you want to purchase a copy of the book on paper, you must also include your postal address and telephone number. Financial contributions up to 25 EUR: Discount on the acquisition of Don Quixote, equivalent to the amount contributed. Financial contributions from 25 EUR: Obtaining the digital version of Don Quixote (PDF file). Financial contributions from 50 EUR: Obtaining the digital version of Don Quixote (PDF file), and on paper, in softcover. Financial contributions from 60 EUR: Obtaining the digital version of Don Quixote (PDF file), and on paper, in hardcover, rigorously numbered in order of the applications received. 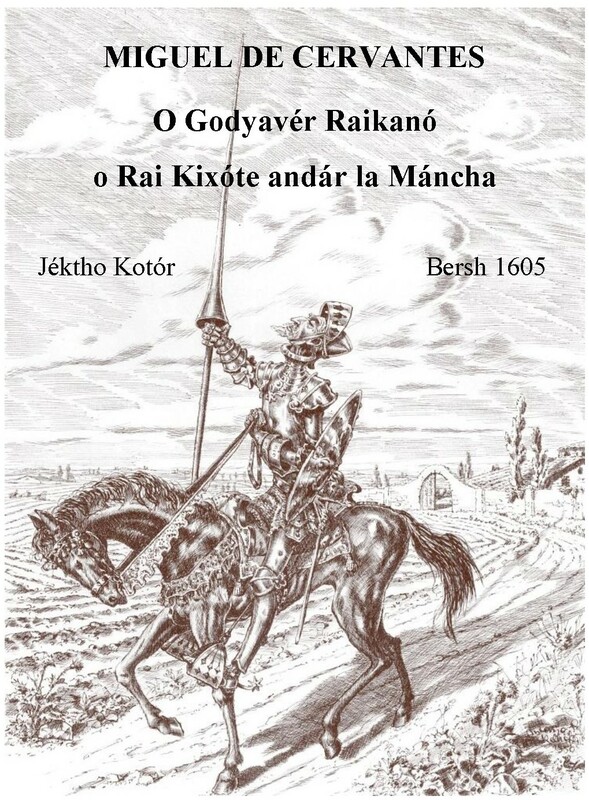 Financial contributions from 100 EUR: Obtaining the digital version of Don Quixote (PDF file), and on paper, in hardcover, rigorously numbered in order of the applications received. Including your name or your organization's in the acknowledgments of the book.